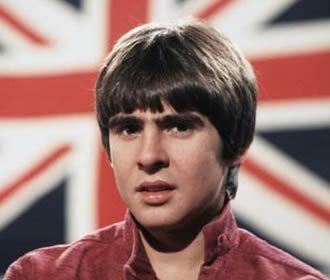 The Monkees' baby-faced Davy Jones, the only British-born member of the 1960s four-man band, died earlier today after suffering a heart attack in Indiantown, Florida. He was 66. Their television series, The Monkees, ran from 1966 to 1968, the year the feature film Head was released. Directed and co-written (with Jack Nicholson) by feature-film first-timer Bob Rafelson – who had previously handled several episodes of the group's TV series and who would become best known for the Oscar-nominated Five Easy Pieces (1970) – Head followed the same loose narrative pattern of the Beatles' A Hard Day's Night (1964) and Help! (1965), with songs interspersed between absurd comic situations. The musical comedy, however, achieved neither the box office success nor the critical acclaim that had greeted Richard Lester's two Beatles flicks. Jones left The Monkees in 1970, though in the ensuing decades the quartet – sometimes downsized to a trio – got together again on a handful of special occasions.